and of profound emotions. He was going to remain faithful and even seek to unite them, in spite of prejudgments. It was the start of a period marked by research in composition and by an introduction to music for dance. In June 1982, at Deshaies, the dream, the merger, became real with the writing of La cité de voile (The City of Sail), an original work for piano directly influenced by the mixing of cultures. 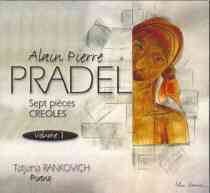 Sept pièces Créoles (Seven Creole Pieces), Vol. 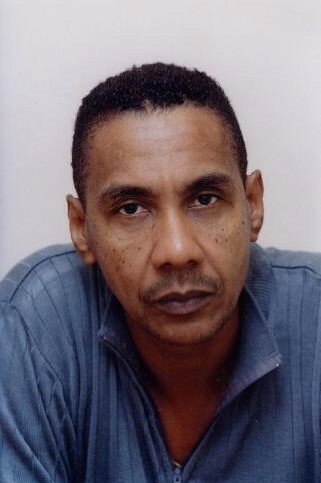 1, Dezi'l Production 001 (2000) is the first CD of Pradel's contemporary music for piano. It was recorded by the classical pianist Tatjana Rankovich in New York. The works are La cité de voile (3:58), Pomme canelle (2:50), Le château de cendre (6:12), Piro et fanfan (2:35), Vue de do (5:34), La préférée (3:57) and Eclipse (4:42). 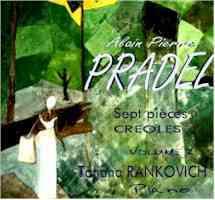 Tatjana Rankovich is also the pianist for Sept pièces Créoles, Vol. 2.